Batman's big plan is in motion and Harley and her gang are still stuck on the sidelines. Luckily, Harley knows just what to do to get back into Batman's good graces. Unluckily (for Billy Batson, at least), her plan to steal back The Batmobile from Wayne Manor requires her going through Shazam! I know I dote upon this series' humor but it truly is one of its best features. This issue easily has the funniest dialogue in Ground Zero to date. 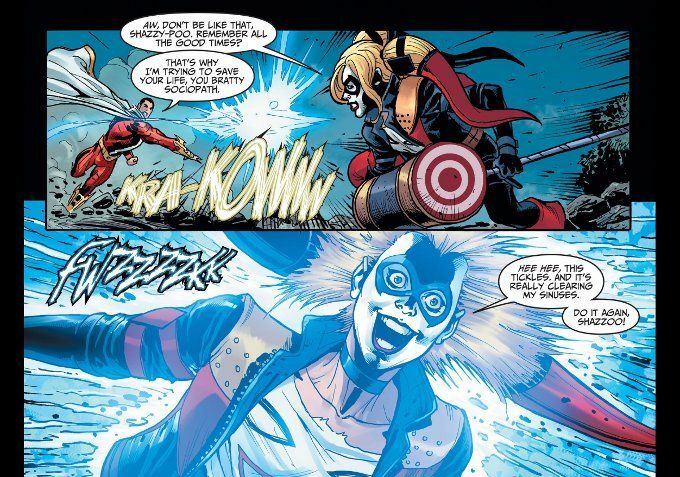 More importantly, Brian Buccellato and Chris Sebela continue to show a masterful understanding of Harley Quinn's character and the fact that Harley only plays dumb. The humor extends into the artwork, with Injustice: Gods Among Us artists Tom Derenick and J. Nanjan returning for this week's issue. J. Nanjan delivers a masterful performance on the coloring, as always. Derenick draws great expressions and takes full advantage of the comedic script to deliver cartoonishly hilarious images of Harley being electrocuted or licking Shazam's nose cutely. 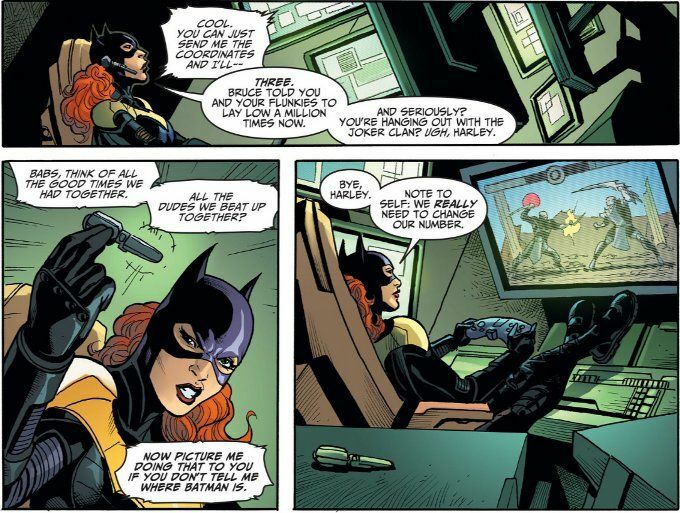 I also love the quick sight gag of Batgirl playing Mortal Kombat.